Symbiosis isn’t a word you hear thrown around very often, but to one specific point in Walt Disney World it has an important place in history. 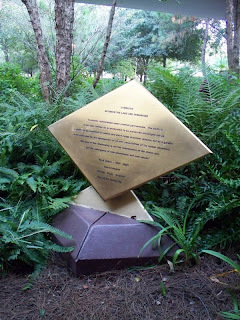 The Land pavilion in Epcot was created with, and lives with the daily reminder of, Symbiosis. When EPCOT Center opened in 1982, The Land featured a film entitled Symbiosis. Camera crews had scoured the globe to find footage of agriculture at work. Throughout the film we are shown how some technological advancements of the past have been in direct conflict the needs of the planet and all of its inhabitants. However, Symbiosis goes on to present the viewer with hope, with new technologies and education we have the choice as to what the future holds for the planet, its creatures, its plantlife, and ourselves. In 1995, however, the film was removed to make way for the animation infused Circle of Life. However, some of the gorgeous shots from the original film remained and found new life in the second feature.